- Pictured above from left to right: David Lewis, Reuben Munday, Ngozi Nwaesei, Ronda Tate Truvillion, Blair Person and Reginald Dozier. Lewis & Munday, P.C. recently welcomed clients, colleagues and friends to an open house at its new office location, 535 Griswold, Suite 2300, in Detroit, MI. The event took place on November 12, 2015, where guests were warmly greeted by members of the Firm and enjoyed one another’s company over hors o’dourves and music. 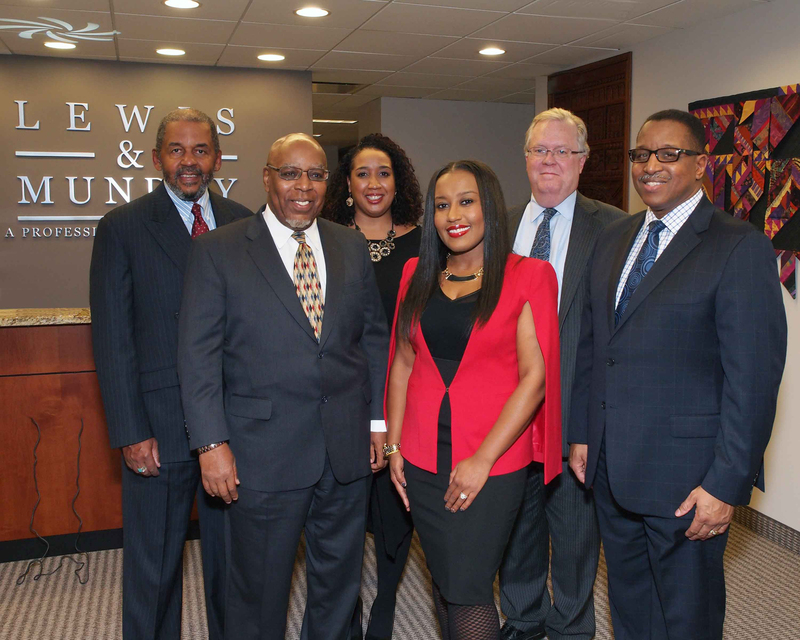 Though this celebration was in recognition of the new office location, the Firm also came together to celebrate the promotion of Reginald Dozier, President/CEO; Hans Massaquoi, Litigation Group Leader; Ronda Tate Truvillion, Partner; and Ngozi Nwaesei, Partner.